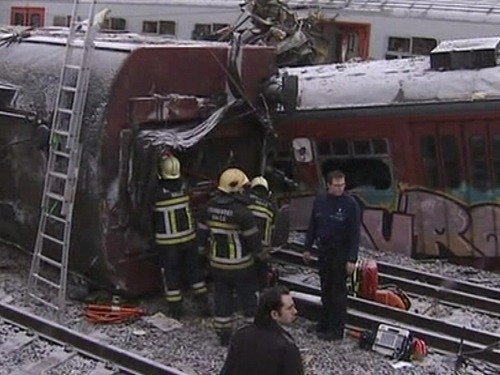 Belgian train drivers have gone on strike in protest at safety conditions after a collision that left at least 18 dead. Investigators are still scouring the wreckage of the two trains amid fears that more bodies could be found. They are also sifting for clues on what caused one of the worst rail accidents in Belgium's history. Some of the 100 injured from yesterday's high-speed disaster remain in serious conditions in hospital. Many train drivers are now on strike, saying that poor working conditions contributed to the crash near the town of Halle, 15km southwest of Brussels. One of the two drivers of the trains was among the dead. The strike was spontaneously organised and rail unions are not involved. Eurostar train services to and from London have been cancelled for a second day along with all Thalys International services to France, Germany and the Netherlands because of the wreckage and the strike. Brabant provincial governor Lodewijk De Witte said yesterday that one of the trains had apparently failed to stop at a red light and hit the other at high speed. However, one of the trains was not equipped with the system, according to Marc De Scheemaecker, a senior official for the SNCB national rail service. 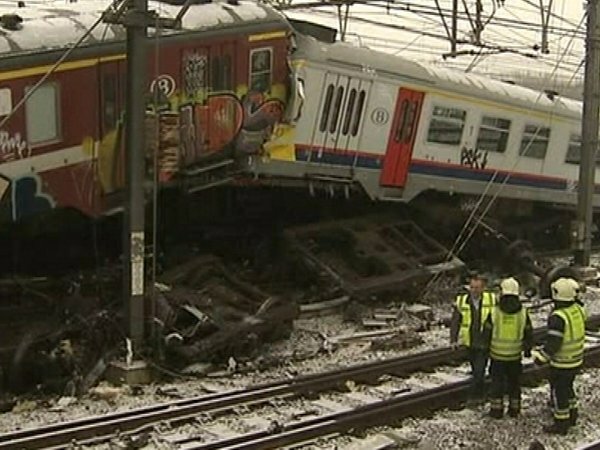 The information caused concern among the train drivers, the Belgian press and beyond.